Hello. I hope everyone is having a happy Friday so far! Here’s a watecolor I did quickly one day. I didn’t realize I hadn’t posted it yet. I couldn’t get the color to come out right on the computer. The background is more of a greenish color. I still have other things in the works. 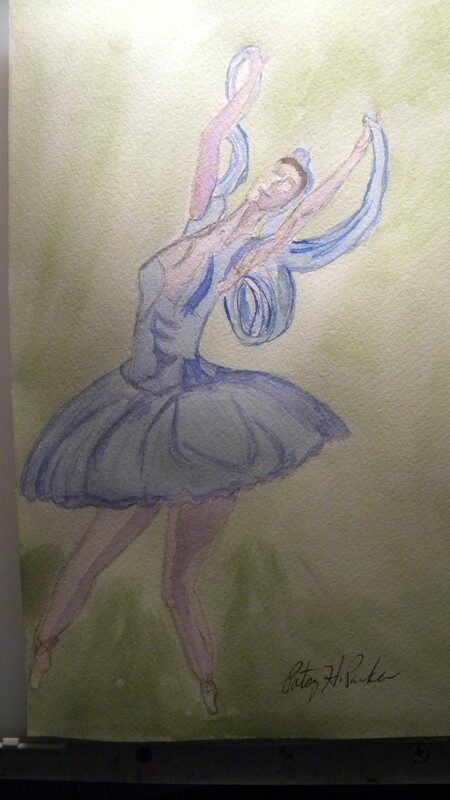 Posted on April 24, 2015, in Art Talk, Watercolor Paintings and tagged acrylic paintings, acrylics, ballerinas, Ballerinas #2, ballet, Degas, Degas Copies, Edgar Degas, Gothic ballerinas, Swan Lake ballerinas, Tippy Toes, Twirling Ballerinas. Bookmark the permalink. 2 Comments. Thanks, Mark. I appreciate that! The body is the hardest part for me!